Last week went off the rails for me and I missed posting. My apologies. This week, I thought I'd offer a free book to make up for it. It's not my book. It's not a friend's book, it's my favorite kind of a book, RESEARCH! 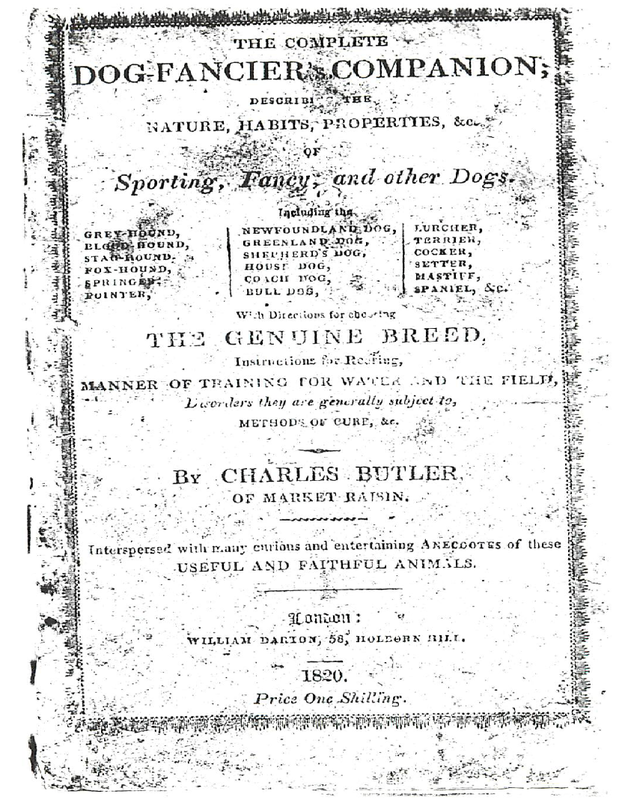 A scanned copy of my 1819 copy of The Dog Fancier's Companion. This little magazine is a fantastic insight into the mind of dog owners of the Georgian era. 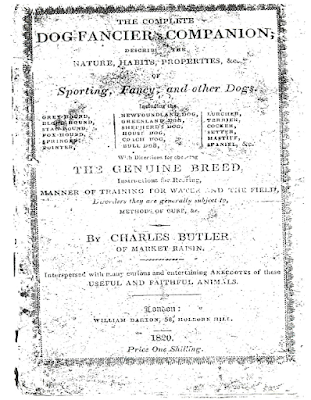 It offers comments on breeds/types, advice on care (some of which is quite frightening), and a wonderful denunciation of blood sports (in case you want to be sure that such a stance is not in fact ahistorical). "For the sake of humanity, it is to be hoped, that the cruelty exercised on the animal, had- been repented of by his master, the greater brute of the two [emphasis in original], and that there are none at present who could be guilty of a similar outrage." What a great resource to have. Thanks so much for sharing. Can't wait to read through it today!